It seems my family is drawn to all things musical, from my great-grandfather (seated in the front in the photograph below) who was a piano tuner and master violinist, to my grandfather who was a piano tuner and coronet player with the Kitchener and Waterloo Musical Society Bands and the 1st WW Band. 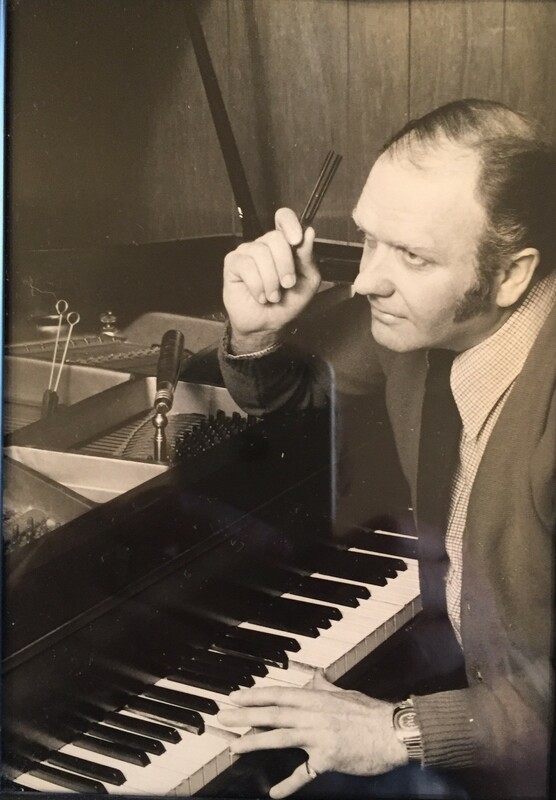 Not to be overlooked are grandaunts who played piano and organ for silent movies, and granduncles who tuned pianos and played sax with Guy Lombardo, along with other assorted family members who sang, played, and tuned. Back row left to right — Charles (my grandfather) Tuner and also played coronet in both the Kitchener and Waterloo Musical Society Bands and the 1st WW Band, Laura, Glen — Pianist, Zelda — Piano and organ extraordinaire. She played for Silent Movies. To sight read that Honky Tonk stuff!! Claude — Singer. Studied voice in Italy and taught at the University of Michigan. Alvena, Clayton. 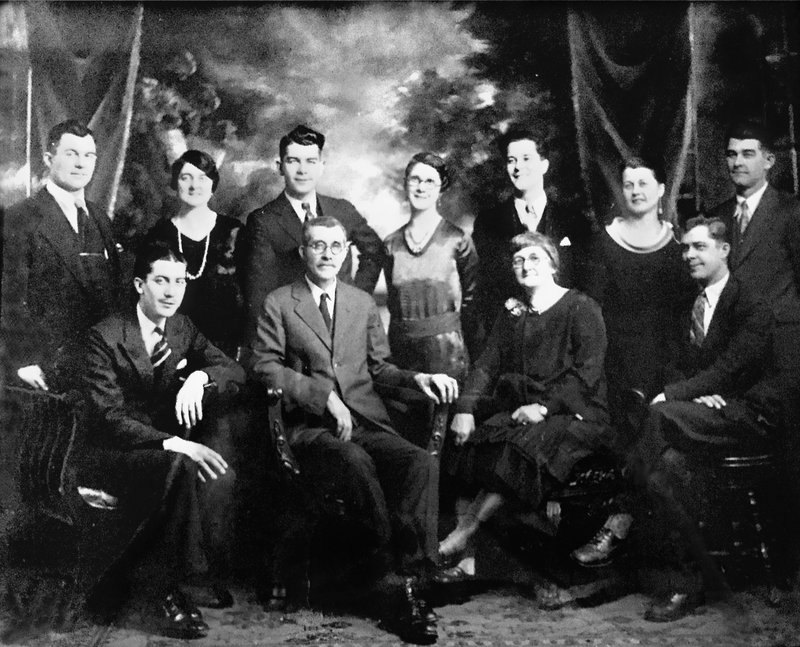 Front row left to right — Burt, Tuner and saxophonist with Guy Lombardo and was in the orchestra on the Detroit-Buffalo Boat, Frank (my great grandfather) Tuner and was a master violinist, Louisa — Piano teacher, Emerson — Tuner, played piano and violin. 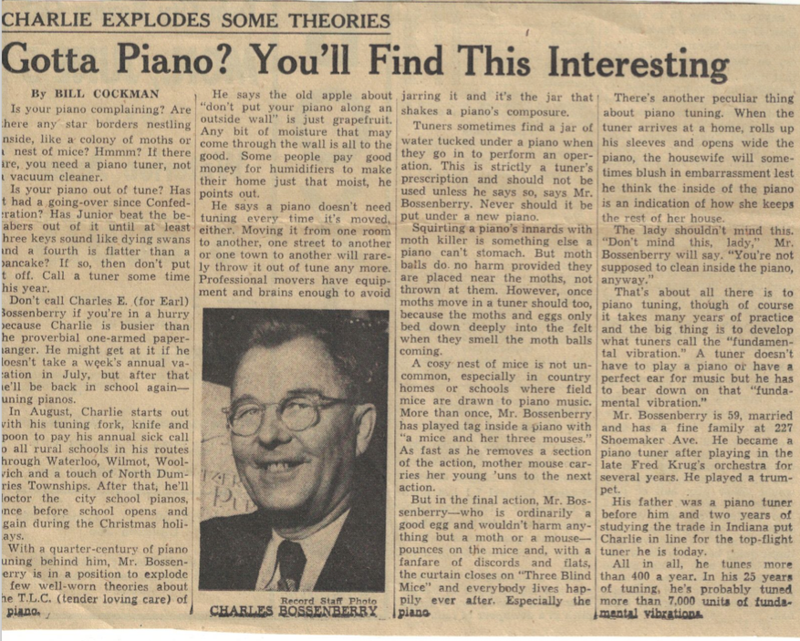 Charles Bossenberry, my grandfather talks all things piano in the Kitchener Record. 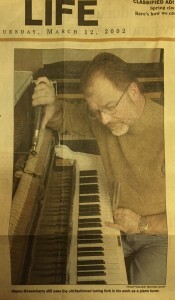 Now retired and living in Quebec, Wayne Bossenberry apprenticed with his father, Robert Bossenberry, and tuned pianos for 24 years. Over the years, he tuned for performers such as Tears for Fears, Styx, Johnny Cash and Matchbox 20. 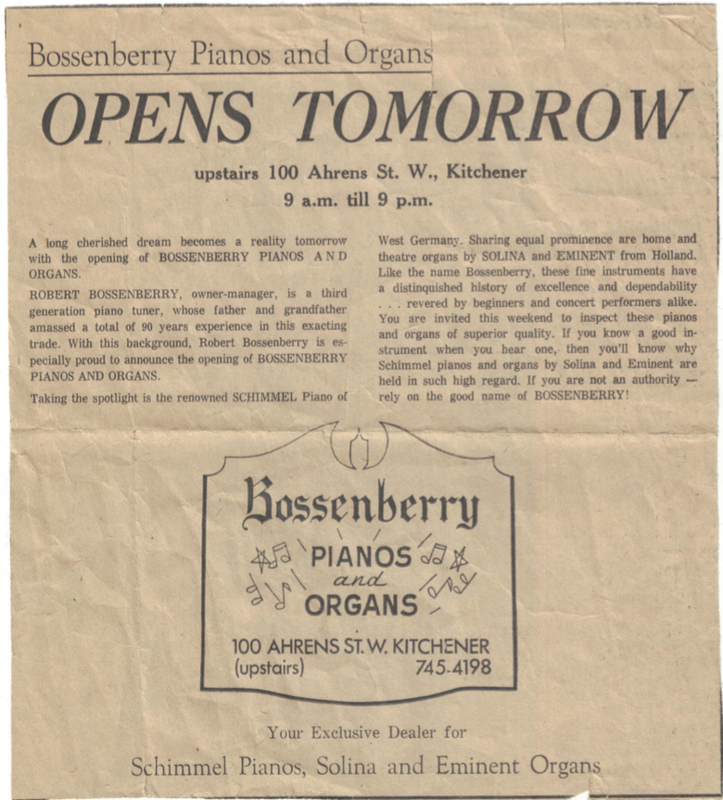 Robert Bossenberry (Uncle Bob) is retired and lives in Kitchener. He tuned pianos throughout his career with the Kitchener Fire Department and put the first "Bossenberry Piano" ad in the yellow pages in 1966.